Chipotle wants you to get swept up in some patriotic fervor next week. The burrito emporium is carrying on its tradition of incentivizing mass-burrito intake with yet another free food deal this Veteran's Day, meant strictly for veterans and active military personnel. Just like last year's deal, Chipotle is offering a buy-one-get-one-free promotion on Tuesday November 7, available to all active duty military, reserves, national guard, military spouses, retired military and veterans with a valid U.S. military ID or proof of service. 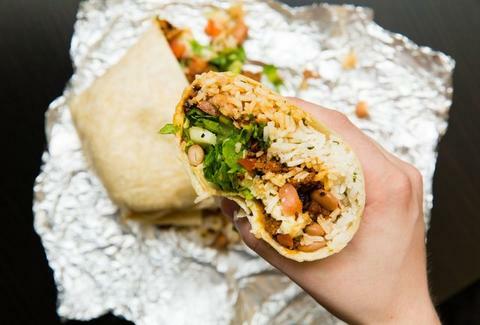 Every Chipotle restaurant in America is participating in the scheme, which means anyone who's donned a uniform should cash in on the free burritos, bowls, salads and taco orders available. Even though the day of recognition typically falls on November 11 every year, the free deals are available at all Chipotle outposts from 5 pm until close on November 7. While Chipotle's deal is just a small token of gratitude, it's likely that many eateries across the country will pay veterans back in the form a free meal. And after serving the country so selflessly, it isn't unthinkable to suggest that veterans deserve free burritos literally every day of the year. Get on it, Chipotle.